Ontech Electric Corporation was established in Pleasanton, California,US as a subsidiary of Tieon Energy Technology Co., Ltd. As a parent company, Tieon was founded in 2001. 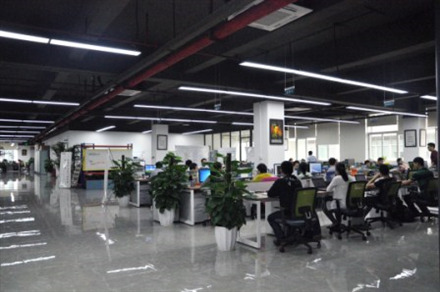 It is the main professional manufacturer and supplier of power supply and distribution system solutions in China for more than 16 years. Ontech is a new brand name of Tieon. 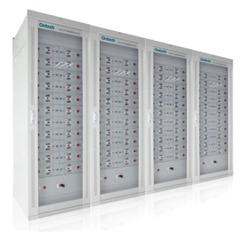 Ontech is a state-level High/New-Tech Enterprise, mainly engaged in intelligent power distribution system research, development, design, production and sales. We produce and supply intelligent power distribution system, mainly intelligent modules, AC power system, intelligent DC power system and intelligent AC-DC integrated power system,and intelligent power system. When Shenzhen Tieon Electronic Technology Co., Ltd. was established in 2001, I wished to “sell our products to Germany”. This was not just a young man's entrepreneurial dream; it was also an industry patriotic “ambition”. I simply believed that when our products were praised by the German, it would gain worldwide recognition. Later, this simple idea has evolved into the company's vision – “Be the world-class expert for power supply solutions. I have developed the company into three eras: creek era, river era and ocean era. Creek era: the company only produces intelligent AC power system products for substation and makes the products be the Number one in china. From 2001 to 2009, we spent eight years for the basic realization of this goal. River era: the company will extend to the entire substation intelligent power solutions and peripheral products, gradually expanding to non-power sector. From 2010 to 2017, we plan to spend another eight years to achieve the Number One in China. We are on the way to achieve this aim; I hope can finish it according the plan. Technological innovation is our positive points, from 2001 to now, we already own 53 patents, including 17 invention patents, and apply for 5 patents per year on average. 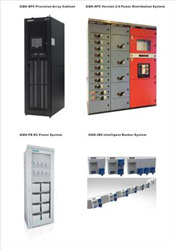 Our product range is intelligent power distribution system, mainly intelligent modules, AC power system, intelligent DC power system and intelligent AC-DC integrated power system, and intelligent power system. 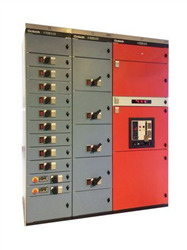 Of cause, we have several special products have excellent USP over other manufacturers, for example, the product GQH-PB DC power system; it is the parallel battery power supply module and the microcomputer monitoring module R&D independently by our company, combining with the latest high-frequency soft switch technology and computer controlling technology. 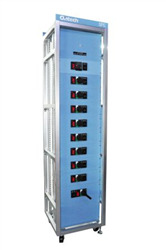 This system owns many excellent features such as efficient zero-current turn on and zero-current shutting rectification technology, concise and easy to understand display interface, complete intelligent operation management and excellent performance for the protection of multilayer, which greatly improves the stability, reliability and efficiency of the system. Solve customer’s problems is our main idea for develop new product, when customer met problems during equipment using, we will collect and analyze those problem, and then we will make the suitable solutions for them. Are you a Green Channel Supplier of your finished products to any customers? Ontech make power supply solutions have high reliability in our customers’ mind. We supply the products as per our customer’s guidelines. We are green channel supplier to many of our customers. We plan the growth is 10% for each year in the next 5 years. Ontech products are widely used in China market now. Our products have managed to create confidence in Utilities and Industries that Ontech Products are at par with international brands. Even in international markets the perspective of looking towards Made in China products is facing transition. In international markets our products are well accepted. Yes, some of our national competitors have been copying our new products - GQH-PB DC power system, but nobody can make it better than us. We will keep moving on the way of innovation and lead the team. No competition, no progress; although the competition give a big pressure for us, but it also push us grow up. 18. What are your suggestions and plans for countering such competition – both national and international? Keep moving on innovation. We hope can always leading the technology development. In 2012, our company set up the Tieon fund, which provides help for difficult families, students, and seriously ill patients. Until now, we already helped many people. Tieon volunteer team founded in 2012, has been carrying out a series of volunteer activities for environmental protection, mainly in public areas for environmental protection propaganda and white trash clean-up.